You have meant to get out into the yard for weeks, or maybe even months, and do something about the trees you have. You noticed a while ago that they needed some care, but now the situation may have gone beyond what you can handle by yourself. Taking care of the small trees on your property may never have been a problem for you, but when you have large trees that are taller than your home, you may not be equipped to provide them with the care they need. You can save time and money when you get professional tree trimming in Los Angeles done by an experienced company like ours at Your Way Tree Service, Inc. Think of all that you must go through when you are planning to tackle the job of tree trimming yourself. Even for smaller trees, you need the right equipment to do the job, and if you do not have a lot of experience with tree trimming, you may not know the best approach to take to do the job. When you hire us at Your Way Tree Service, Inc., we can come to the job equipped and ready to go. We have the manpower, tools, and equipment so we can help with trimming trees of any size, large or small, and get the job done faster for you. Many people may not want to hire professional tree trimming in Los Angeles because they think it will be too expensive for them. The reality is that tree trimming can be a much more affordable option for you. If you try to do it yourself, it will cost you hundreds of dollars to get everything you need to do the job right. It can end up costing you even more if something goes wrong during the process and you damage your home or property along the way. Hiring a professional service is much better for you and will end up costing you less. If you know you need tree trimming in Los Angeles done around your home, it makes more sense to call us at Your Way Tree Service, Inc. than to try to do it on your own. Making an appointment with us is easy. All you need to do is fill out the contact form found here on our web page, and someone from our office will get back to you right away to schedule everything for you. 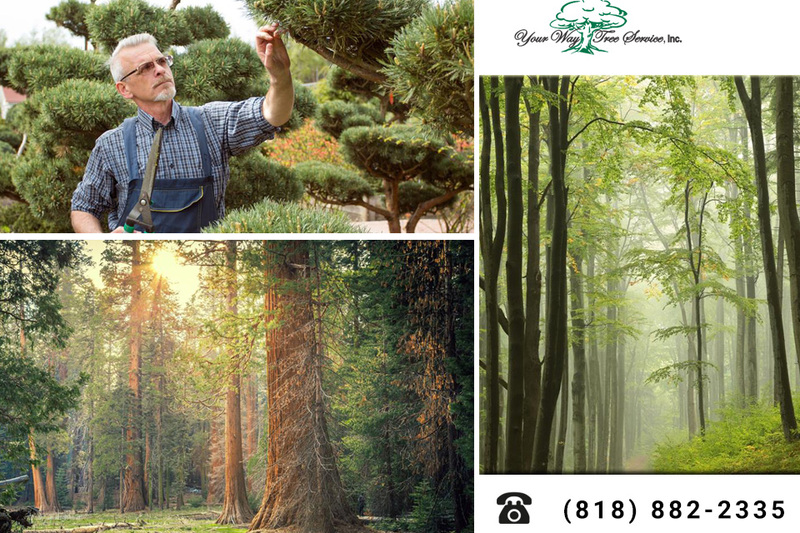 You can also phone us at 818-882-2335 to make an appointment so that we can trim your trees and have them looking their best again.